Xero, the global leader in online accounting software, is giving small businesses unparalleled “anytime anywhere” control over cashflow with the launch of its new v2 reporting framework. As part of a market-leading set of upgrades, the new v2 reporting framework now allows profit and loss reports to be created in a web browser using a powerful reporting engine built into Xero’s online accounting software. The reports have unequalled flexibility, are easy to manipulate, attractive to look at and provide information small businesses need in a better way than ever. No additional software is required for the reports, which can be used on a tablet and are available at any time and anywhere. 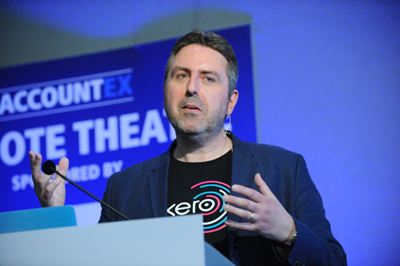 “Cashflow is a major cause of concern to the 4.5 million small businesses that account for half of this country’s £1.5 trillion GDP,” said Xero UK managing director Gary Turner. “A recent survey commissioned by Xero showed more than half of the nation’s SMB owners are worried about cashflow. By introducing the updated profit and loss report we are helping them to address a massive problem head-on. No organisation should ignore technology such as this that enables it to run its business far more efficiently. A new batch deposits feature to save huge amounts of time. From the sales dashboard within Xero, users can select the invoices to be paid and press “deposit”. Once confirmed, payments will be created for the selected invoices. The option to report on multiple accounts at one time – a major enhancement. Simple deposit slips that can be created for batches from a number of cheques and printed off. A new way of controlling report layouts, enabling users to create their own formulae. A disposal schedule that details fixed assets that have been sold or written off within a period. Receipts that can be sent on customised emails to thank clients for invoice payments, initiated either from a batch deposit or from any single payment record. A bank account switcher allowing quick and easy on-screen switching from one account to another. A new capability to export sales invoices and bills in CSV format, making slicing and dicing the detail easier. Improved contact lookups on invoices and other transactions.